18-month-old Jocelyn sleeps away, while Daddy works. This weekend is crunch time for me. Two big deadlines hit on Monday, Feb. 15. One deadline requires four stories for a business magazine; the second deadline is a news story for a community newspaper. As of Saturday afternoon, I have three more stories to complete. Thankfully, it’s a quiet Saturday. While Helen, my wife, is out meeting with a career coaching client, I’m typing away on a business feature about the successful rebranding of The Outlet Collection in Auburn (Washington). 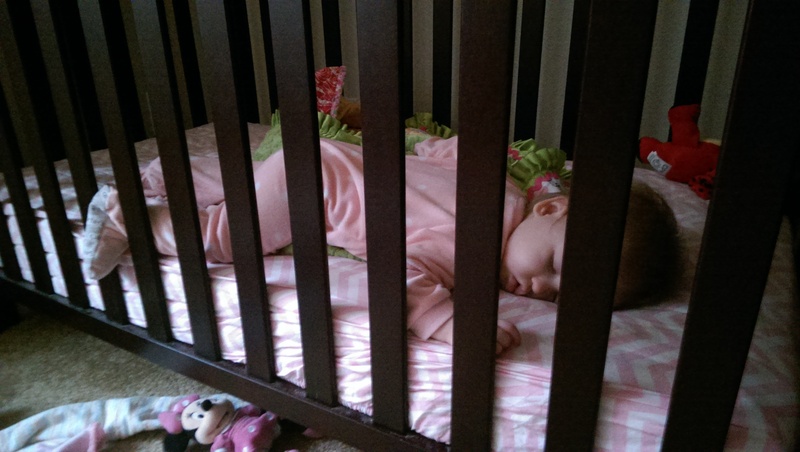 Meanwhile, our 18-month-old daughter, Jocelyn, is sound asleep in her crib. What a wonderful daughter we have! We’re so lucky to have a sweet child like Jocelyn. To ensure I meet my deadlines, I try to capture every minute I can when Jocelyn is sleeping. It’s a careful balance. When she is awake, of course I want to spend every waking minute with her. Give her plenty of playtime and plenty of one-on-one attention. I’m continually amazed by how successful I’ve been as a freelance writer, while also devoting my time to Jocelyn. I wouldn’t want it any other way!